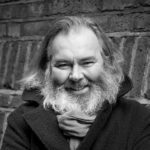 John Mitchinson has worked in publishing for decades. He helped to found the television panel game show, QI, and and has co-written all their books. He was Waterstone’s first marketing director and he has held senior publishing roles at Orion, Cassell and Harvill. He co-hosts Unbound’s Backlisted podcast.